Judging by the valuations of companies such as Waymo, Lyft and Uber, humanity is placing a big bet on self-driving cars as the future of transportation. But the future of humanity itself may rest on the hopes of self-driving spacecraft, FoxNews reports. The European Space Agency is currently developing a self-driving craft for its Hera planetary defense mission to the Didymos asteroid, which could happen as soon as 2023. By functioning autonomously, the Hera spacecraft could steer itself in real-time, cutting down precious minutes in space and navigate around potentially treacherous objects in space. Similar to a self-driving car that uses a variety of different sensors and cameras, the spacecraft will also an array of technologies, ESA Guidance, Navigation and Control (GNC) Engineer Jesus Gil Fernandez, said. In addition, Hera's onboard computer will have a dedicated image processing unit, akin to a graphics card in a PC. The ESA posted a video of Hera's self-driving navigation test, which can be viewed below. 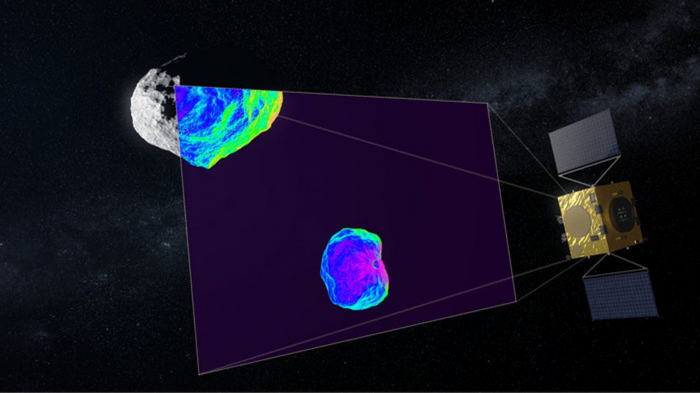 “Hera’s most crucial data source will be its Asteroid Framing Camera, combined with inputs from a star-tracker, laser altimeter, thermal infrared camera plus inertial sensors including accelerometers," Fernandez added in the statement. The Hera mission is scheduled for launch in October 2023 and would visit the 2,550-foot-wide Didymos asteroid, as well as its satellite, a smaller, but still potentially lethal object, known as Didymoon. NASA has recently expanded its planetary defense protocols, including last year's unveiling of a bold new plan to protect Earth.